Situation: A need for innovations leads MTBank in becoming an early adopter of HCE Technology in Belarus. Today Belarus market is one of the fastest recovering economies from the former CIS countries. As one of the largest banks in the country, MTBank is taking active participation in this recovery process, providing high quality services to both private and business customers, and, as such, was nominated by The Banker (London, UK) as the best bank in Belarus for year 2015. You can find more about the bank here. To maintain this leadership position, MTBank is continuously innovating, trying to provide cutting-edge services to their customers and do this faster than the competition. In doing so, MTBank became very interested in launching HCE based mobile wallet in Belarus, considering the fact that at the time (early 2015) there were no successful implementations of this technology in Belarus and contactless cards acceptance penetration was quite low (around 3,000 contactless terminals only). As we had previously worked with different customers and had extensive experience in integrating different systems within bank’s infrastructure, it allowed us to predict integration expenses more precisely and accurately. D8 Corporation was one of the first companies in the “affordable” category in EU that obtained Payment network certifications for HCE solution. Furthermore, MTBank needed the product development and integration flexibility that we usually offer with all of our products and installations. Offered solution: Gate2Bank Digital Wallet platform with standalone mobile wallet implementation. From the very beginning MTBank was viewing HCE Technology not just as additional payments technology that could complement their existing mobile banking services, but as a completely separate mobile wallet that could become an additional business in itself. Therefore they immediately discarded all the “cloud-based” HCE solutions, as they didn’t provide the bank with necessary control of transaction data. 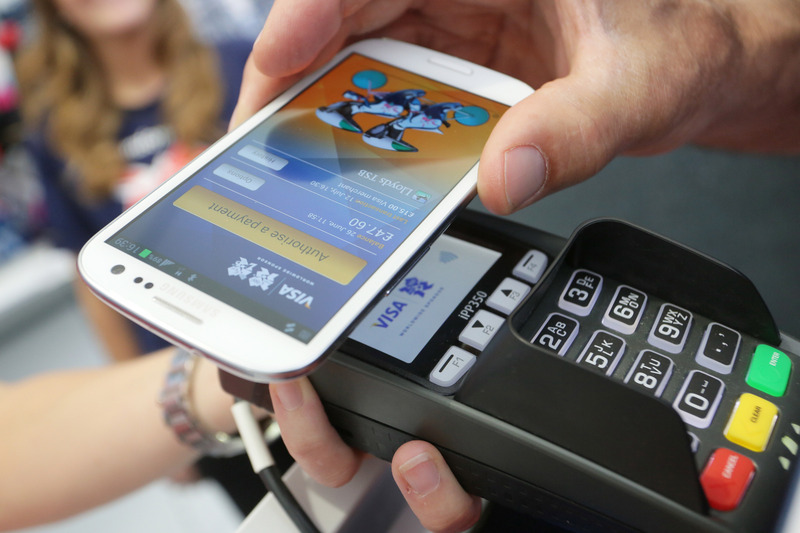 HCE technology basically turns any smartphone that is working under Android 4.4.1 or higher and has built-in NFC reader into a contactless card, enabling user to make payments at any POS terminal that accepts contactless payments, by using his smartphone instead of a contactless card. In cases when cloud service (such as MDES/VTS) is used, mobile cards preparation & management, tokenisation and authorisation functions are performed on the service provider’s side. This gives service provider an advantage and control over the amount and kind of data that is available to the bank. That’s why bank have chosen Gate2Bank Digital Wallet platform that was deployed internally within their infrastructure and integrated with processing solution. At the time MTBank had FIS Cortex payments processing solution installed, so integration between processing and HCE Payments platform went very smoothly, as D8 Corporation had ready to use API for integration with Cortex system. Another concern for every bank that is considering HCE technology implementation is security. Gate2Bank Digital Wallet platform is developed in such a way to require as little changes on the processing side of the bank as possible. For example, the cards authorization process is conducted in the exact same way as with any plastic card, requiring no interface changes to the IPS gateway in the cards processing. This is possible because Gate2Bank Digital Wallet have built in Authorization & Tokenization engine, responsible for processing HCE-based transactions on the HCE server side. Having such an engine as HCE server component requires to have sufficient encryption on-board using HSM modules to ensure maximum level of security and meet sertification requirements of the payment networks. In this project, we used one Thales payShield 9000 HSM, integrated with our Gate2Bank Digital Wallet server, in one location at MTBank datacenter. Integration with Thales payShield 9000 went smoothly and all minor challenges we encountered were solved almost instantly, thanks to Thales excellent and fast-working support team. As for mobile wallet, we created a separate wallet for mobile cards, running on NFC-enabled Android phones. Application was developed, according to the MTBank corporate guidelines. You can check it out here. The last step in the process, of course, was certification of the mobile application and implemented server side with VISA and MasterCard systems. D8 assisted MTBank through all steps of the certification process and as a result MTBank was able to successfully obtain all required certification components. Overall goal was to make cloud-based payments available to over 300,000 card-holders of the bank and do this as quickly as possible, overtaking the competition. Currently just over 1% of the cardbase has downloaded and tested the application and bank expects significant increase in this number, as more and more people in the country will start having NFC-enabled phones and overall contactless POS terminal infrastructure will further develop. Project was completed (including certifications) in just under 5 month timeframe. Given the fact that we completed project on schedule, although very tight one, and helped MTBank to become the first bank in the country to implement such project, we believe that we helped them to achieve not only technical goal of implementing a working solution, but also a business goal of receiving “Bank of the Year” award for the second time and strengthening bank’s reputation as one of the main innovators in the region.